Sports Betting in Poland - Let Us Guide You to the Most Lucrative Odds! 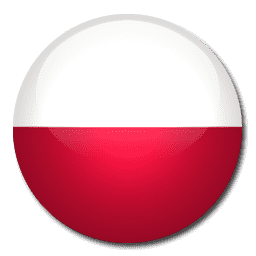 The Republic of Poland has a closed online sports betting market, although there are opportunities to wager on sites located both domestically and abroad. The country is in Central Europe in between Germany and Ukraine. Poland has a population of 38.5 million making it the sixth most populous country in the European Union. After spending much of the latter half of the twentieth century under Soviet control, Poland’s communist government was overthrown in 1989. Since then Poland has achieved high rankings on the Human Development Index which ranks life expectancy, education and income. In this guide to sports betting in Poland you can first find how the industry developed in the country. Then the online market is looked at along with taxation concerns for players. After that the accessibility of foreign sites for Polish customers is looked at along with thoughts of future developments. The Polish government adopted a hands off approach towards gambling in the 1980s and 90s, letting the industry develop largely unregulated with minor laws only introduced in 1992. During this time thousands of betting shops opened up throughout the country and sports betting became a very popular past-time in the country. This was despite having a double deduction tax system which charged the operator 10% and deducted 10% off winnings. 2009 saw the first major change when The Polish Act on Gaming was introduced followed by the 2011 Amendments . These changes were targeted primarily at the casinos operating in the country and online operators, essentially banning online gambling then re-introducing it through state regulated sites. The three main betting shop operators in Poland are Totolek, STS and Professional who dominate the market. STS has been the company which has really stood out among these three, attracting a substantial investment from UK betting company Stanleybet and became the first sports betting company to establish an online presence in Poland. Poland suffered a slow take up of operators looking to apply for licenses after the Amendments took effect, due to the high taxes and charges imposed by Poland. The initial three Polish companies of STS, Totolek and Millenium were joined by Fortuna in 2012 . The high taxes also caused operators to offer poor odds on different events. This led to Polish sports bettors looking towards different international sites which led to the government blocking payments to certain sites and ISP blocking others. Options were further reduced by online companies pulling out of the Polish market of their own accord, either acting in the interest of their shareholders or because they were looking to gain a future license when the time was right. These measures have failed to stop Polish gamblers finding access to the sites they want to wager on and in Feb 2014 the value of Poland’s online gambling market was estimated to be in excess of €1 billion, with Polish operators only accounting for 9% of this total . While the EU continues to put pressure on Poland to free up their online betting market an amendment to the 2013 Gambling Act was made which allowed transactions from all European licensed payment processors including e-wallets like NETeller and Skrill. This allow Polish bettors easier and quicker options to fund their accounts when using licensed sports betting sites, or quicker ways transfer funds between international and Polish sites. All sports bets winnings are charged 10% in Poland, which will be taken off by the betting shops and the Polish licensed operators. As there is no framework in place to tax your winnings made on offshore sites, you will be awarded these tax free. Whether or not you are liable to pay taxes won on a technically illegal site is debatable and the responsibility will be your own. While the domestic sites offer a service specifically for Polish players you will find different levels of service if you decide to play on the international sites. Generally many sports betting sites offer Polish language betting, and some even offer customer support in Polish. You will struggle to find many which allow you to hold your currency in Zloty, so you may have to have your account in Euros, British Pounds or US Dollars. This is usually not too much of a worry as the sites which accept Polish players are happy to do the currency conversion for you, although it is best to keep these to a minimum. This can be helped if you use NETeller or Skrill to deposit as they can hold a wallet in Euro, or other currency of your choice, meaning you can move money around online without constant conversions. In addition to these credit cards such as Visa and MasterCard are widely used for deposits and withdrawals along with bank transfers. If you make the choice to play on a foreign site, fist make sure it is a reputable company and check the terms and conditions. While operators who do not serve Polish customers will normally not accept your custom, some unscrupulous ones may take your deposit and lock your account. Since 2012 there has been a fair amount of legal debate on the subject of Poland’s tough internet gambling laws. It is doubtful that allowing a full range of European payment processors will be enough to pacify European pressure to relax access to the online betting market. Despite this, and the amount of the market Poland currently loses to international companies it seems unlikely changes will happen anytime soon. What is worth noting is that while the legal status of the non-Polish operators is in question, there are no laws to prevent Polish citizens using foreign websites. The choice therefore remains an individual one to either choose a Polish licensed site or reputable online operator who is working in a grey market.